les mains noires: 021° .DDAY ONE - LOOP EXTENTIONS. Wilson Choperena con Orquesta Rafalo "Alvorada"
"Les Mains Noires" is a project with multiple facets destined to all curious and to music & images lovers. In a society where culture is hidden by a mass education, it seems necessary to us to contribute, in our scale, to preservation and sharing of world musical patrimony. That's why this place is dedicated to worldwide forgotten musical gems, contemporary music company and people who give their life to find, preserve and share music & culture. We also find in this approach a field to create links between music and images. So here you'll be able to Read, Watch & Listen! We love digging, writing, creating and editing each unique feature that we publish. This whole process of researching records, buying, selecting and compiling them, researching more infos, creating proper artwork, taking and editing pictures takes a lot of man hours every month. If Les Mains Noires is a frequent destination for you, If you enjoy our work and would like to see more material in those pages, we would greatly appreciate a modest donation of whatever you can afford. Wether it is $5 or $500, it will help us a very lot to keep digging and dedicate ever more time to this project. All donations will be reinvested in the development and curating of content on Les Mains Noires. Wanna get in touch and share some words with us? We'll be glad to hear from you! Just write us to this email lesmainsnoires@ymail.com and we'll answer as soon as possible! Through those pages, our goal is simple; promote forgotten music from the past ans contemporary record labels working hard on making available again the global musical patrimony and on releasing some of the best bands from nowadays. Nevertheless, if you're an artist ot the copyright owner of works posted on this blog but you would prefer not to, please just send us an email and we will remove your work. We hope that you'll enjoy the blog and his content anyway. Since 2013 I also have a record label called "Goma Gringa Discos". 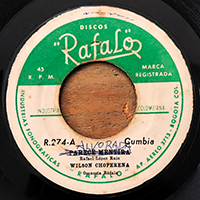 Based in São Paulo, where I live since 2011, the label aims to to promote forgotten music from the past and contemporary brazilian recording artists. Just click on the picture below and check it out! We wish to support the official issuing and reissuing dynamics of musical works from past and present. It is for this purpose that we have created the topic "Tracks Of The Weeks" (TOTW). There, we offer you to discover or rediscover different works made available again by the dedicated work of contemporary labels runned by true passionate people. And of course, in case you would be pleased by the music offered, please run to your favorite record shop to buy a copy. Independent music labels needs your support! Click HERE to check the selected tracks! 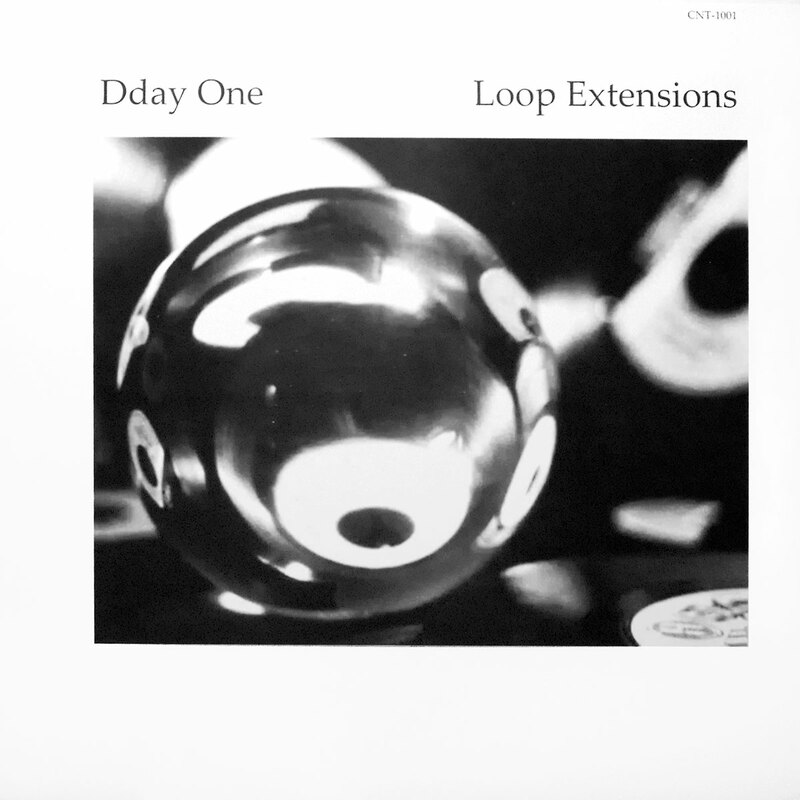 021° .DDAY ONE - LOOP EXTENTIONS. Dropping fluid beats and incorporating eclectic sounds, Dday One builds a canvas of warm instrumental beats that catch both your ears and your soul. 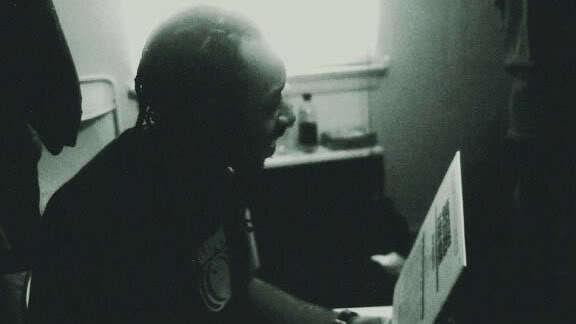 Born in the early 80s, Dday One (U. Ukwuoma) was raised in L.A. 'Loop Extensions' represents his debut Lp. When Dday first completed this album, he pressed up a few vinyl copies to spread the word. Within a month he’d had LA’s hip hop’s true underground king Mike Nardone playing tracks regularly on his radio show (We Came From Beyond / KXLU 88.9) and Cut Chemist requesting copies. Dropping fluid beats and incorporating eclectic sounds, he builds a canvas of warm instrumental beats that catch both your ears and your soul. Contain the amazing track "Unstable Material 2" with Existereo, Subtitle, Awol One & Metfly vocals, a MUST heard, as well as "Seeds Of Revolution". Superbe blog... de très belles photos et une sélection musicale exigeante... que du plaisir ! Guillaume aka Plexus Records ! Rien à ajouter au commentaire de plexus.blog decouvert via le site de dj goodka.